Photo courtesy of the Salem Public Library. 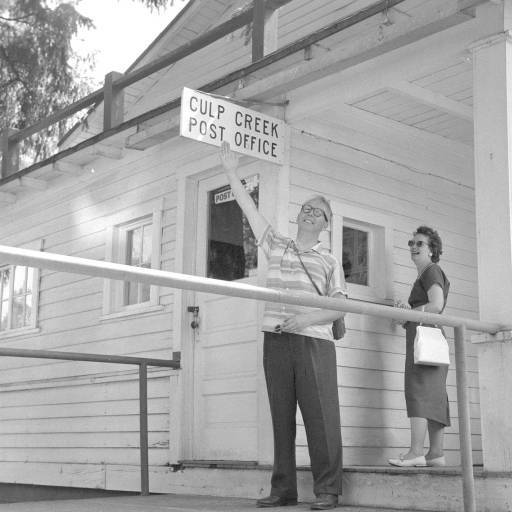 The Culp Creek Post Office in 1959. The building still stands as a private home. Photo courtesy of the Salem Public Library. 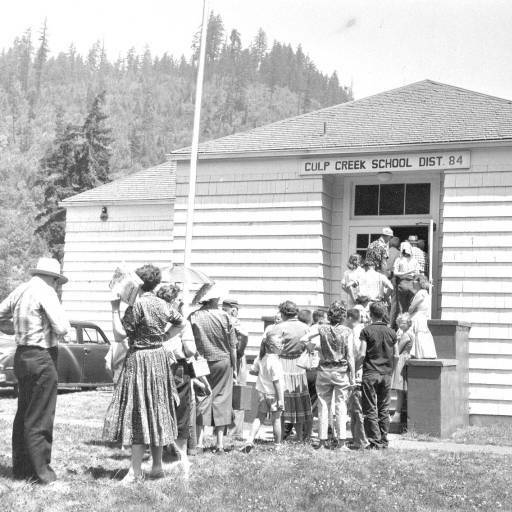 Culp Creek School in 1959. This building still stands as well, now as Childs Way Academy. How great that you found these photos! Did you need to go to Salem or did you find them online? I found them on Wikipedia!